Have you seen girls walking around in Yukata in Kyoto city? on a special occasion like Matsuri (festivals). thses girls wearing Yukata as everyday clothes here in Kyoto. preserved in this modern day. for both of men and women! 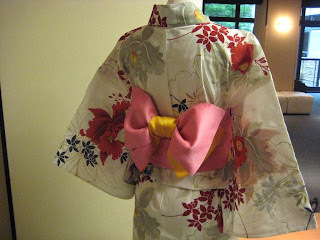 How about strolling around the city in Yukata? 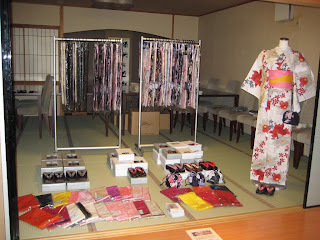 Come see our collection at Nishiyama Ryokan!!! Tanabata (also called "the star festival") is held on July 7th. It is the only day a year that the star Altair crosses the Milky way to meet the star Vega. On this day, people write their wishes on strips of paper and hang them from bamboo tree. 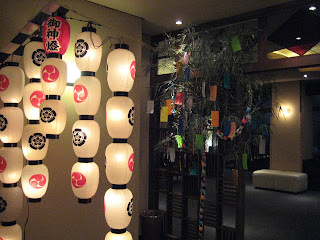 It is believed that those wishes come true on Tanabata. We had our guests make wishes...and here is one of them!!! written by two pretty sisters from the U.S. 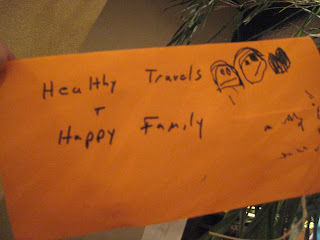 Thanks to our guests, we had more wishes on the bamboo tree. Speaking of summer, I hear about ghost stuff more often. For example, horror programs on TV or at some places a haunted house is built only during summer time. The reason is that horror stuffs make you frighten and cool you down in hot summer. I don't know if this is only Japanese culture but needless to say Japanese horror movie is quite popular all over the world. It has been getting hot lately. I went to Kurama temple lately. Kurama is the name of the place located in northern part of Kyoto. It is less hotter than the center city. There is Kurama hot spring. I have never been there, but after walk around whole day, taking a bath and chilling out sounds perfect! However, we have something special here in Kyoto, that we can see only for a couple of weeks, espeaiclly in the rainy season. As you can imagine from its name, they are flying insect that glow in the dark. You can see them here in Kyoto city if you go a little up north. One of the best places to see fireflies is "Kamigamo Shrine". In this season, lots of people visit the shrine in a search of fireflies. I hope you can see those little tiny dots in the dark. They are the fireflies flying along the creek in the shrine. on those few sunny days in this rainy season? We will keep you posted with more photos of Kyoto and Japan!